LMS Class 5 4‑6‑0 No. 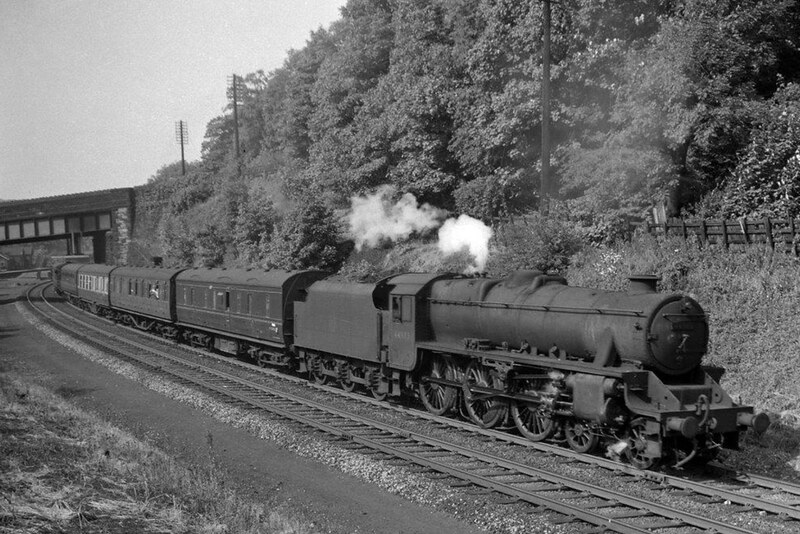 44983 is captured on camera as it rounds a curve on the Dore & Totley triangle with a lengthy local passenger train in the late 1950’s. A longstanding inmate of 55A Leeds (Holbeck) No. 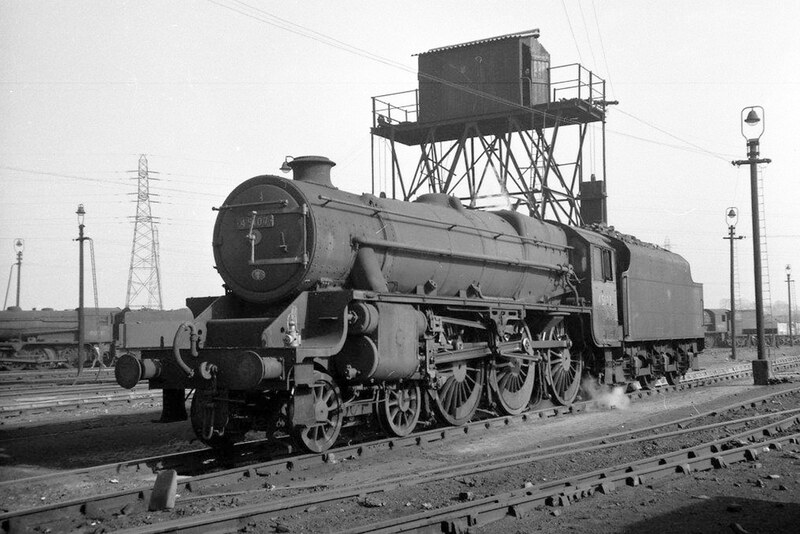 44983 was rendered surplus to requirements in September 1967. LMS Class 5 4‑6‑0 No. 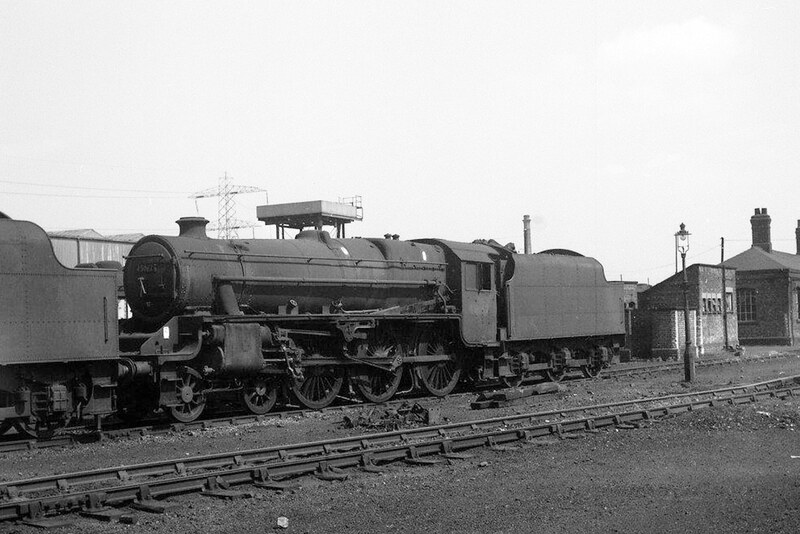 45067 is pictured out of steam in the yard of its home depot at 9F Heaton Mersey – circa 1966/1967. For many years a 5B Crewe (South) steed No. 45067 had, from June 1964, spells at 5A Crewe (North), 2F Bescot, and 2E Saltley before arriving at Heaton Mersey in June 1966. Basking in early spring sunshine LMS Class 5 4‑6‑0 No. 45107, its tender resupplied with coal, is a visitor to 56A Wakefield from 10D Lostock Hall on 29th March 1967. Fore and aft of No. 45107 are two of the plethora of ubiquitous WD Class 8F 2‑8‑0’s associated with Wakefield depot. Note: There are no known additional amendments or queries appertaining to the disposals of the LMS Class 5 4‑6‑0’s Nos. 44900 to 45199, but any information to the contrary will be welcomed as would any confirmations or otherwise of the verifications required. Note: Draper’s, Hull: Up until the week beginning 20.11.67 locomotives were cut up in Sculcoates yard. After this date cutting was carried out in new premises in Neptune Street. Currently WHTS has in excess of 15799 individual locomotives with full disposal details and sources.